From 28-31 May 2012, the National Library of Indonesia (Perpusnas) in cooperation with the Indonesian Library Association (IPI) will be hosting the 15th Consal Meeting and General Conference. The Meeting and General Conference will be conducted at the Discovery Kartika Plaza Hotel, a comfortable location and close to the famous and beautiful beach of Kuta, Bali, Indonesia. Registration for this conference has been opened. Early registration before 31 January 2012, and will be closed after 31 March 2012. National Library as the Center of National Heritage. Preservation and Conservation in the Library. Implementation of Legal Deposit Act. Library Education in Empowering Human Resources. Managing Digital Library and Digital Publications (Information Technology Application). The Role of Library Associations in National Development. Community Libraries and Information Literacy. The Role of Libraries in Enhancing Reading Habit. Blended Librarianship as a Design ………Dr. J. C. Buenrostro,Jr. The Medical and Health Librarians Association of the Philippines (MAHLAP) in cooperation with West Visayas State University Medical Library will be holding its 24th National Congress and Seminar-Workshop on the theme: “Rethinking Services and Spaces: Rebranding Libraries for the 21st Century” on February 29 to March 2, 2012 in Iloilo City. lunch). To avail of Early Bird Rates, please settle your payments on or before Feb. 14, 2012. Please make your payments to any Banco de Oro branches under account name: Medical and Health Librarians Association of the Philippines, account no. : 3940560825. Upon payment, send us a copy of the deposit slip and registration form by fax or email. If you have any comments or inquiries, you may reply to this email and cc: info@mahlap.org. Or call our Treasurer, Ms. Rita Yusi, re: details of payments at (02) 523-1478. We look forward for your presence as our partners in our quest for excellence. Thank you. The Ateneo de Manila University-Rizal Library is seeking papers for the 5th Rizal Library International Conference with the theme: "Libraries, Archives, and Museums: Common Challenges, Unique Approaches." The conference will be held on October 25-26, 2012 at the Leong Hall, Ateneo de Manila University, Quezon City, Philippines. It aims to showcase how libraries, archives, and museums approach challenges, formulate strategies, and develop best practices. Interested individuals may submit abstracts (between 300 to 450 words, in MS Word or PDF format) to ltdavid@ateneo.edu / ksagun@ateneo.edu /mnabaunag@ateneo.edu. Deadline for abstract submission is on March 31, 2012. The Medical and Health Librarian’s Association of the Philippines Board of Directors (MAHLAP BOD) is looking for dedicated people willing to become candidates for the MAHLAP 2012-2013 Board of Directors. You may nominate yourself or someone else. All nominees should send a current CV and a letter stating why you want to be on the MAHLAP BOD. Nominations must be submitted via emailelection@mahlap.org / gibs_santos@yahoo.com or fax to +63 2- 5265851 on or before December 10, 2011. Kindly download the attached nomination form. Information that you will provide will be treated with utmost confidentiality. The credentials of nominees will be verified by the Election Committee. Every nominee must be a regular member in good standing, both in the profession and in the Association. 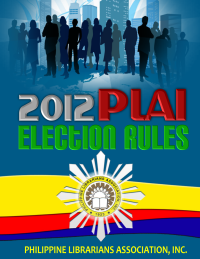 Election will start on December 12, 2011 until March 1 2012. We invite all of you to help us identify qualified and motivated individuals and encourage each of our members to consider serving as a Board member or officer to help MAHLAP in its programs and activities. Thank you!